Perfect Size Condo For Vacation! 2 Beds 2 Baths 876 Sq. ft. This is the perfect size condo for a vacation home to escape the winters and relax at the beach where the sun shines and the skies are always blue. This condo overlooks the Village Activity Center pool. This property is easily rented either short term or long term. 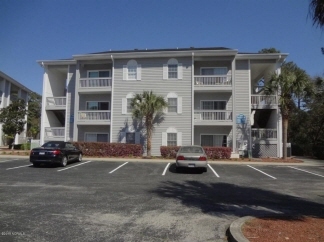 Sea Trail Plantation offers an array of amenities including 2 pools, 2 resident clubhouses, three 18 hole golf courses, restaurants, library, fitness center, tennis courts, community garden and private parking on the every popular Sunset Beach. The seller is offering a $2,000 furniture allowance to buyer.